Become a Sustaining Giver During STAY's Spring Fundraising Week! It's STAY Fundraising Week + Black History Month! We are a project for Appalachian youth for Appalachian youth, so any donation to help move our work forward is greatly appreciated! 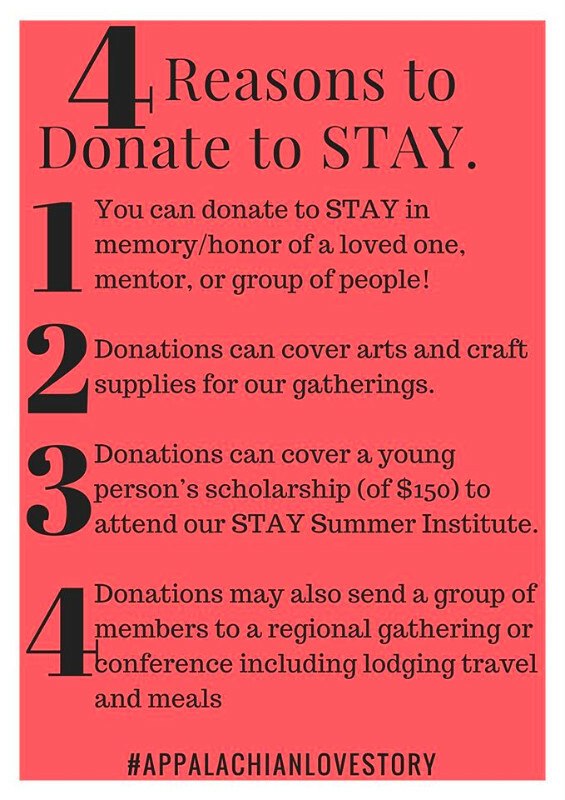 Check out this video where one of our Steering Committee Members tells what STAY means to them and why donating to us is a worthwhile investment. 1. Check out our donation page on our website to see how to donate and become a sustaining giver. 2. Forward this email to a friend. 3. Connect to our Facebook page, our instagram, and our twitter - share our donation requests from there with your friends. 4. Get involved with our work on the ground to see the benefits of your donation first hand. In celebration of Black History Month, we wanted to share out some incredible work being led by black leaders in and from Appalachia! 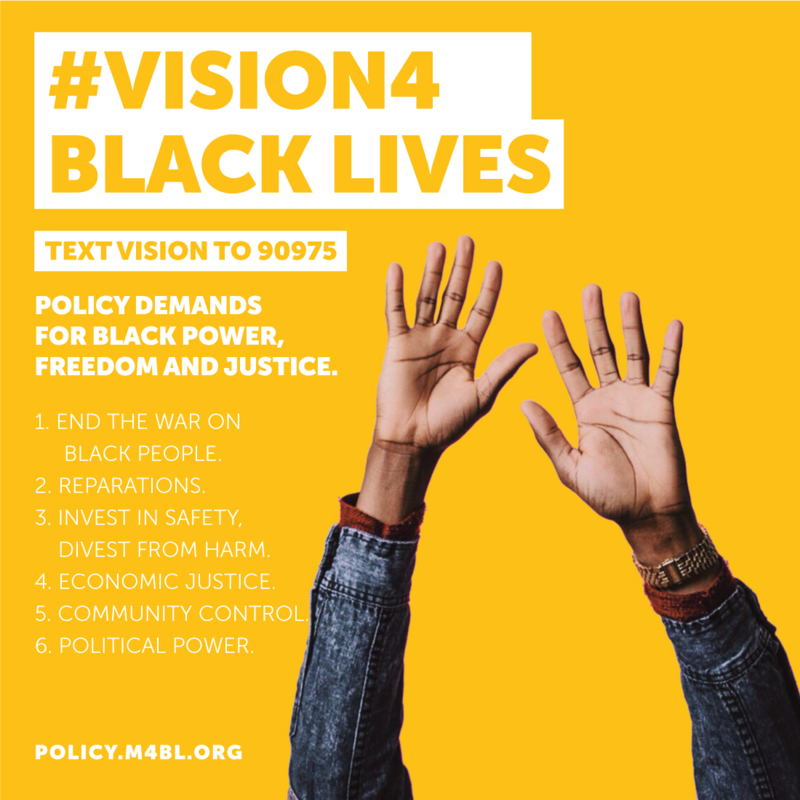 First of all, if you haven't, take some time to read and digest, and then sign on and share the Movement for Black Lives Policy Platform! Concerned Citizens for Justice in Chattanooga, TN have been leading incredible "Communiversity" workshops around the Movement for Black Lives Policy platform, and how those policy changes could effect the city of Chattanooga, the south, and put community needs at the forefront. If you're wanting to learn more about CCJ or get involved, check out their upcoming Open House on February 23rd. Check out a new podcast by STAY member Joe Tolbert called: Art at the Intersections. In Episode 2 Joe interviews Linda Paris Bailey of the Carpetbag Theatre Inc in Knoxville as they discuss the Black Theatre tradition and the role of art and community organizing. Contact our Coordinator at stayproject@gmail.com with any questions!